Toys R Us has announced their SDCC exclusives for this year, and they’re kind of awesome. Did I say kind of? I meant totally. And more that I care a bit less about, but you can see for yourself below. Best of all, these figures will be available on TRU’s website as well as SDCC. Check out all the pics after the jump! The World’s Greatest Toy Store® continues its profound partnership with Entertainment Earth® at this year’s annual Comic-Con International in San Diego, and will no doubt contribute to the euphoria of the participating action figure and comic book enthusiasts. In honor of the show’s forty-second year, and the company’s thrilling third year in attendance, from Wednesday, July 20 through Sunday, July 24, Toys“R”Us® will offer an extraordinary extravaganza of official San Diego Comic-Con merchandise, including toys based on characters from TRANSFORMERS, ThunderCats® and DCU vs. MOTU. Continuing last year’s magnificent merge with Entertainment Earth, every Toys“R”Us Comic-Con exclusive will be available at Entertainment Earth Booth #2343. Fans who are unable to attend the show can still purchase the exclusive Toys“R”Us San Diego Comic-Con merchandise online at Toysrus.com/comiccon2011 starting Thursday, July 21. However, there is a limited number of each item, so fans should visit Entertainment Earth at booth #2343 or Toysrus.com/comiccon2011 early to purchase the below action figures. 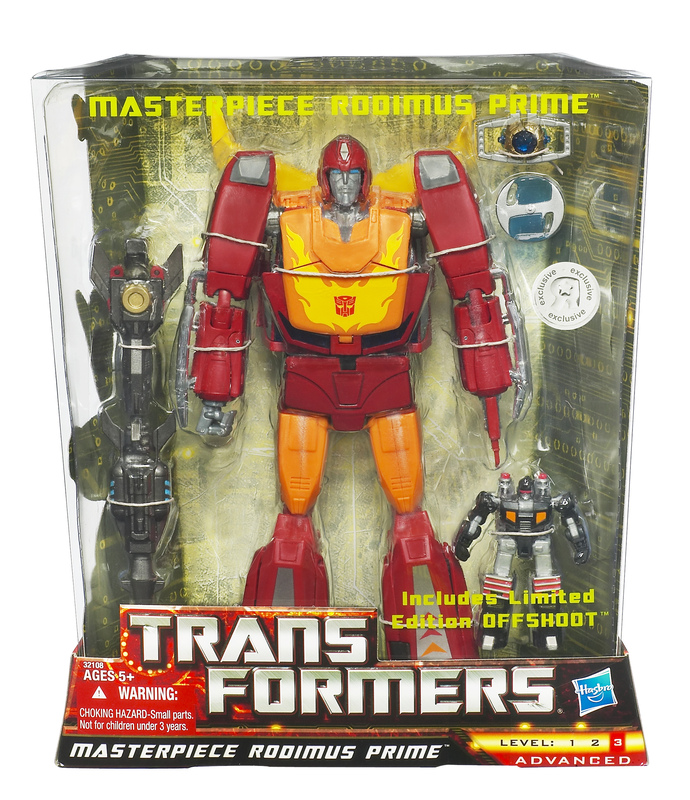 TRANSFORMERS collectors can own the heroic Rodimus Prime in this recreation of the classic G1 action figure! Best known as Optimus Prime’s successor to the Autobot Matrix of Leadership in the 1986 Transformers movie, this fan favorite character has the ability to transform into his Winnebago vehicle mode. The set includes a miniature ally, the Target-Master Offshoot; a buzz saw; and the legendary Matrix of Leadership. Rodimus Prime’s rifle can also convert into Offshoot’s blasters, offering extra firepower when battling the evil Decepticons! Following its debut at Comic-Con International in San Diego, this Toys“R”Us exclusive action figure will roll out to Toys“R”Us stores nationwide and online at Toysrus.com. 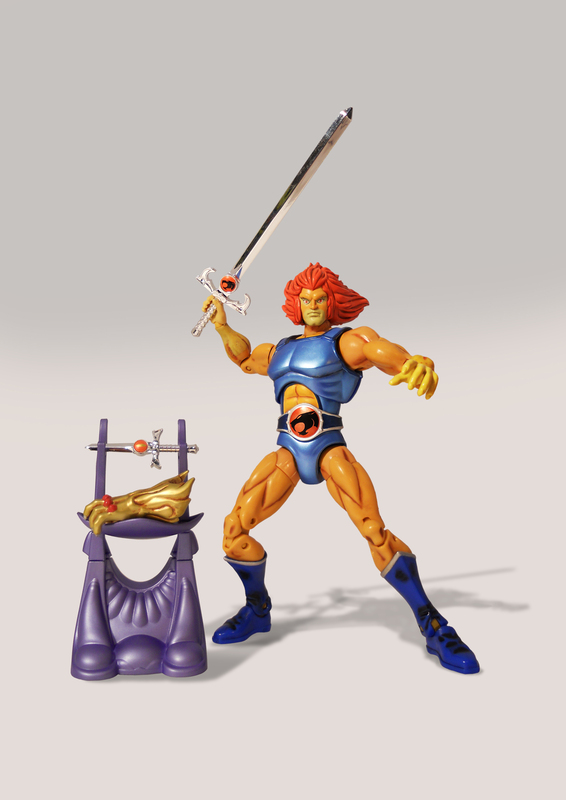 “ThunderCats, Hooo!” Lion-O, the leader of the ThunderCats, is presented in a new, highly-detailed 8-inch action figure with 18 points of articulation and a metallic finish in this recreation of his classic 1980s action hero look. Now collectors can imagine taking on the evil forces of the mutants of Plun-Darr and Mumm-Ra the Ever Living with accessories that include the iconic Sword of Omens (in two sizes), Claw Shield and the Sword stand. 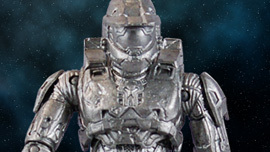 To celebrate the 10th anniversary of one of the most popular video game franchises, Microsoft’s Halo, McFarlane Toys has released a commemorative edition of the game’s iconic SPARTAN-II super soldier protagonist! 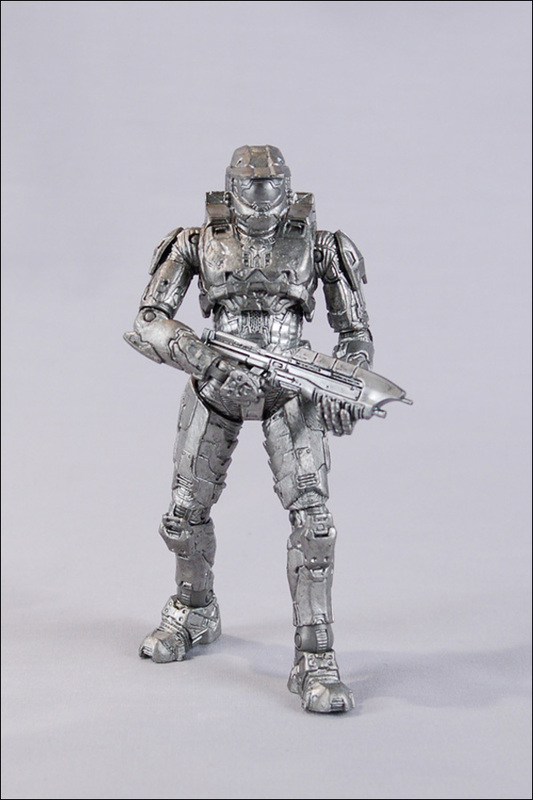 Now fans can own the platinum-painted version of John-117, who comes Covenant combat-ready, equipped with his MJOLNIR Powered Assault Armor/Mark VI armor and classic assault rifle. This anniversary edition of Master Chief features full articulation and is the same height as Halo: Reach figures. Collectors will also be able to get their copy of Master Chief specially signed by its creator, Todd McFarlane, on Thursday, July 21 from 4 to 5:30pm! Be sure to pick up your figure at this year’s San Diego Comic-Con before it hits stores in August, along with the rest of the Halo: Anniversary line! “May the Force be with you.” The saga of the Star Wars universe continues with this new set of action figures, based on the 2005 video game Star Wars: Republic Commando! Now fans can join Delta Squad, a crack Clone Trooper commando unit, as they battle the Trade Federation’s droid army. The four members of the covert group include stoic leader Boss; expert marksman Sev; technical expert and computer hacker Fixer; and wisecracking demolitions expert Scorch. The set also includes a Geonosian Warrior. 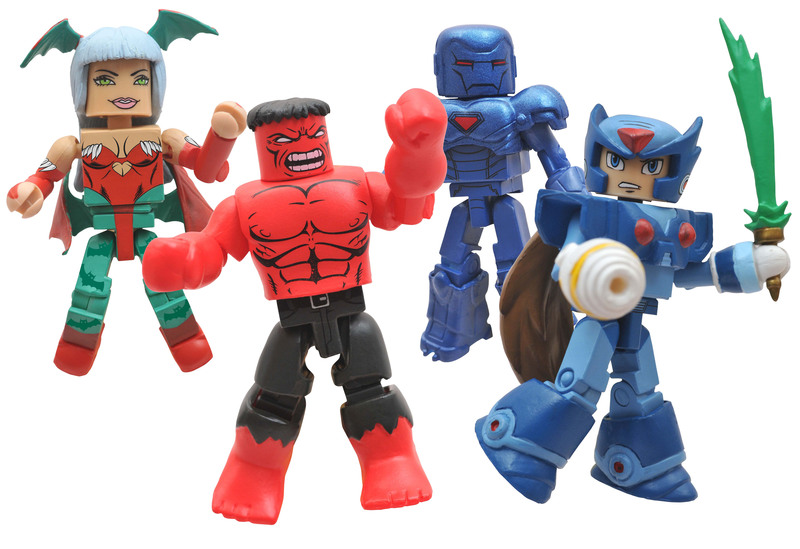 All five 3¾ inch figures feature improved articulation and come equipped with battle accessories. 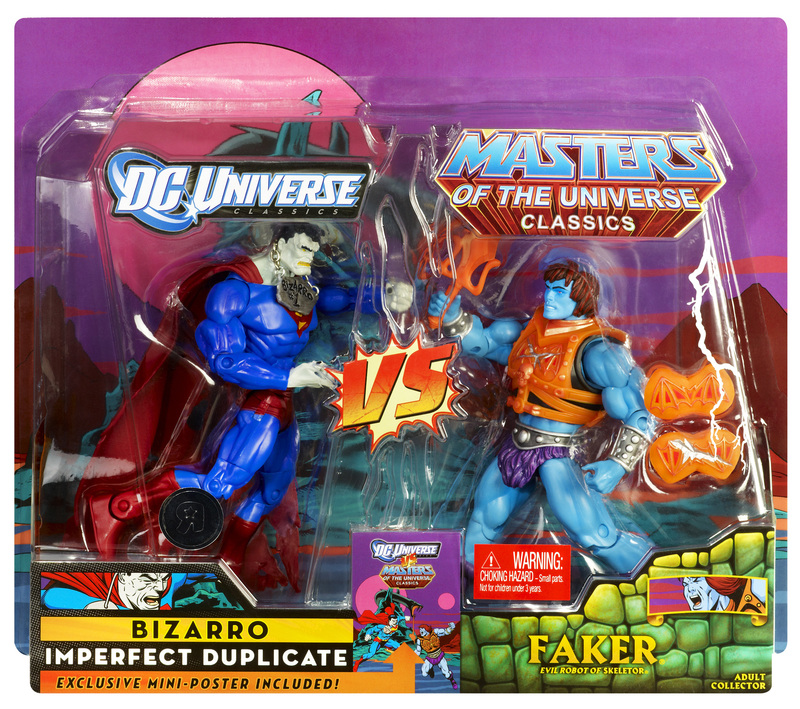 Combining two beloved franchises, DC Universe Classics vs. Masters of the Universe™ Classics, this “Bizarro vs. Battle Armor Faker” 2-Pack set brings iconic mirror image baddies together for the first time! Featuring a dastardly duo of villainy – The Man of Steel’s inverted nemesis and The Most Powerful Man in the Universe’s evil, robotic duplicate – fans can now battle for doppelganger supremacy of Metropolis® and Eternia®! The set contains Bizarro and Battle Armor Faker ® figures, accessories, comic book reprint packaging, as well as an exclusive mini-poster. 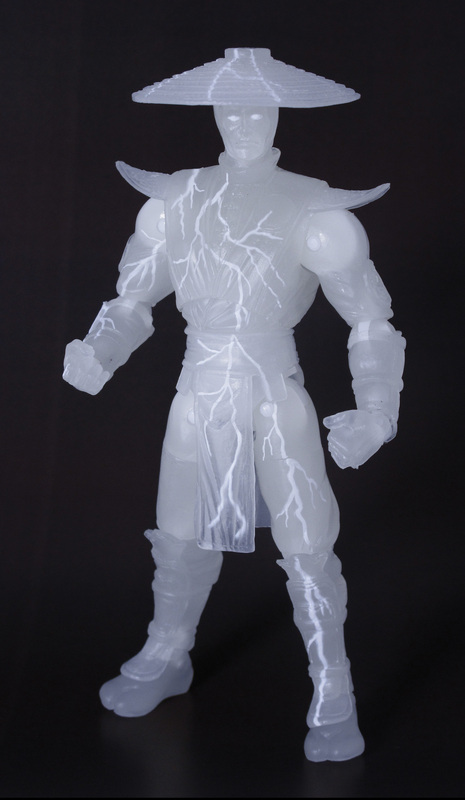 Toys“R”Us Exclusive San Diego Comic-Con Mortal Kombat “Lightning Fury Raiden” action figure from Jazwares®, Inc.
Collectors can now own the immortal thunder god of the Mortal Kombat franchise! Protector of Earthrealm and ally of the Elder Gods, Raiden appears in his lighting fury form ready to defeat Shao Khan and his minions in this limited edition action figure. 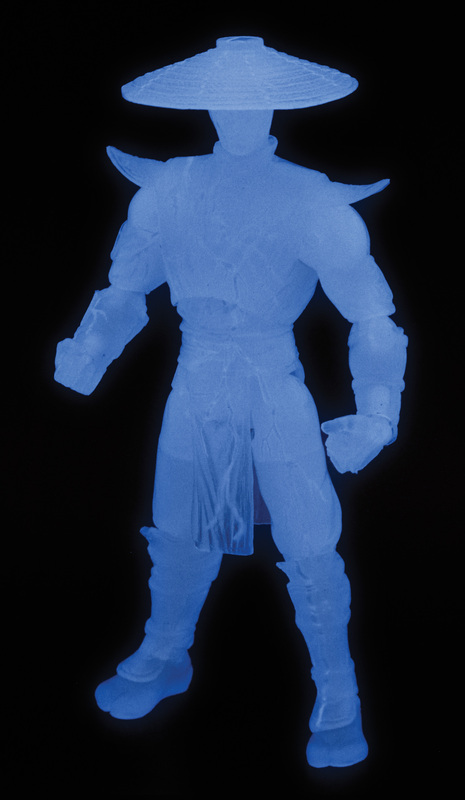 This version of Raiden also glows in the dark, demonstrating Raiden’s mastery of electricity! 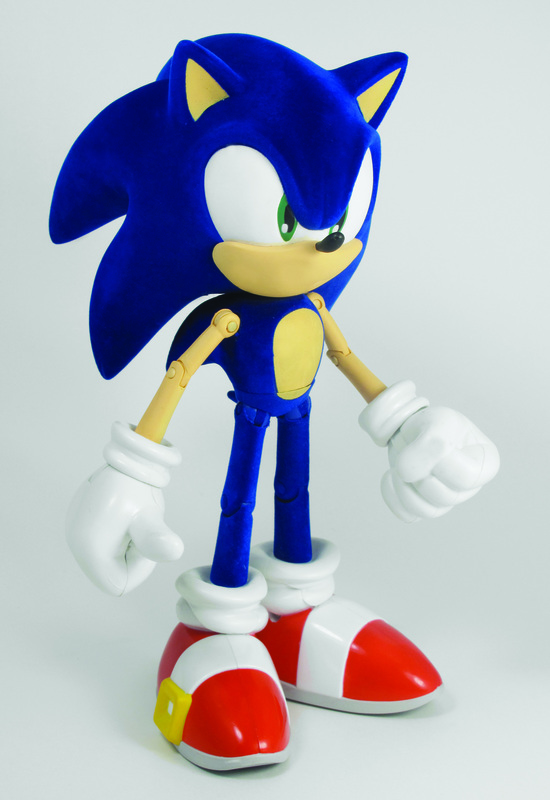 Toys“R”Us Exclusive San Diego Comic-Con “Flocked Sonic” action figure from Jazwares, Inc.
Now, kids, collectors and gamers can own a “Flocked” version of the world’s fastest blue-haired mammal! SEGA’s supersonic mascot, Sonic the Hedgehog, has been re-released to commemorate the 20th Anniversary edition of the character. The fully articulated 10-inch toy is the first-ever flocked deluxe action figure, featuring precise fiber particles that provide a polished plush feel to Sonic’s fur. Celebrating the release of MARVEL® vs. CAPCOM ® 3: Fate of Two Worlds, a video game sequel nearly 10 years in the making, this licensed miniature figures set is based on players’ favorite fighters from the highly-anticipated third entry in the franchise! Fans can now recreate beat-‘em-up battle sequences with iconic characters from both MARVEL® and CAPCOM ®, including Hulk, Iron Man, Zero and Morrigan Aensland in their variant, player two colors. Interesting. Battle Armor Faker doesn't look bad at all- too bad he's saddled with another Bizarro (although the pairing makes perfect sense). I'm actually really glad that we're getting this as a TRU exclusive so that it doesn't take up a Quarterly A-list variant slot. I'm definitely impressed! Faker's every custom we've seen being released as an actual figure and Bizarro seems to have new legs to go with his new paint ops. I never got Delta Squad back when they were EE exclusives so I'm pleased to get another shot at them as well. Does this mean the Thundercats launch is going to happen by years end? Lion-O and Faker are the most exciting figs for me! I want that Lion-O. Will that be available at TRU UK? THAT is my new default Faker. Alright, I've been mindblown by two things in particular. The BA Faker is better than I expected this eventual 2pk to include. I figured since most of the reissues in the DCUC vs MOTUC 2pk series have been repaints that if and when this 2pk came it'd have a regular ole Faker. Looks like I was pleasantly dead-wrong. This Faker is now a must-have and even if I have to get him with Bizarro I absolutely don't mind. I'm also glad (and a little surprised) that he gets all three chest plates plus his orange-flavored (or is it cantelope?) power sword. The other breathtaker is Lion-O and his stash of goodies. Getting the Sword of Omens in both sizes, the claw AND the stand to put it all on is very cool. Right out the gate with a small dio piece included with the figure is very cool and dare I say thoughtful. Hopefully the vac-metal sword have no issues, it looks nice in the pics but I'll wait until in-hand to give my definite verdict. Lion-O looks to be articulated in a very Marvel Legends-ish way so I'm wondering how he's going to look side by side with MLs, DCUC and MOTUC considering they claim he's in 8in scale. Aside from that I'm not very interested in these but the MP Rodimus is cool to see in the mix. 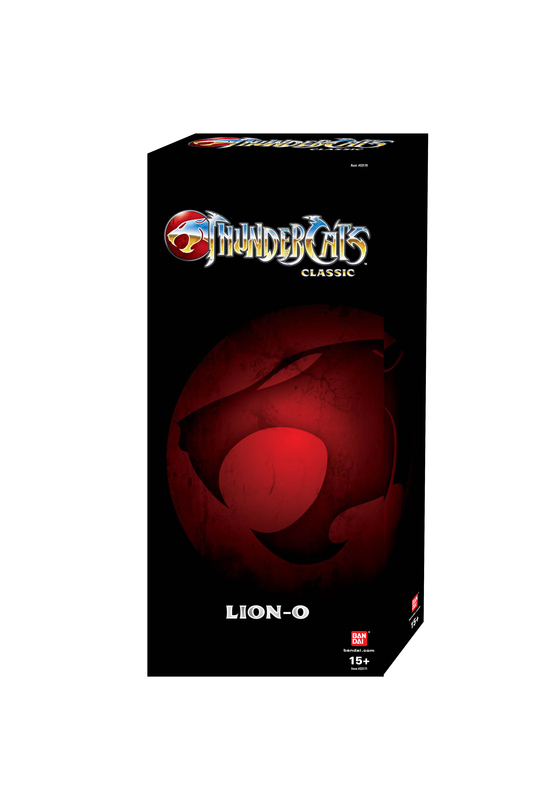 the thundercats figures are exclusives of U.S.A and Canada only?. Im from Mexico and Bigbadtoys cancel my order. Yeah, BBTS did the same to me 🙁 I don't get it, why can't BBTS sell Thundercats abroad? In their email it is stated "[we] would love to sell you the product, but Bandai America will not allow it". This would imply that BBTS is selling these toys FOR Bandai (and then shares the profit) and that it doesn't actually own the toys? Otherwise if I buy something from someone and then decide to re-sell it to someone else (i.e. international customers) why wouldn't I be able to do so? I bought that item. I own it. I can do whatever I want to do with it. As a lawyer I can't even grasp what kind of a corporate contract with Bandai they have. Is this common in USA? I never heard anything like that before. It's tough to be international customer, as far as I know Toys'R'Us web site does not ship internationally. BBTS is a reseller. Part of their contract might be that they are only allowed to sell to certain territories. Granted they are usually able to sell anything anywhere but perhaps what happened with this particular line from Bandai is that Bandai has another reseller in Mexico lined up (perhaps a B&M store chain? I'm unfamiliar with Mexican retail) and had that territory locked out to anyone else. If BBTS wants to keep their reseller status with Bandai they have to obey the rules set forth to them. had to give IAT's noisy a nod on the BA faker, he's been lobbying for that fig pretty hard over there. and yes, the lion-o looks excellent as well. i'm very surprised to see TRU weighing in on SDCC exclusives. I really hope that is not the case 🙁 So many fans all over the world want them. I am digging the two pack, I don't collect DCU, but I enjoy the two packs. Bizarro is a welcome addition and imo this pack makes sense. The faker is way too coo; why wouldn't he emulate he-man's battle armor. I don't open my two packs as I think they are best displayed in the packaging. I will pass on all Thundercats that aren't 4" figures because I simply don't have the room; it is a rather cool figure though. I am definitely grabbing the Rodimus because it is probably the updated fixed model. I sold my SW collection which included two of the old pack outs of the Republic Commandos, which along with the rest is an easy pass. Too much other cool comic con items. Delta Squad!!!! I need that. 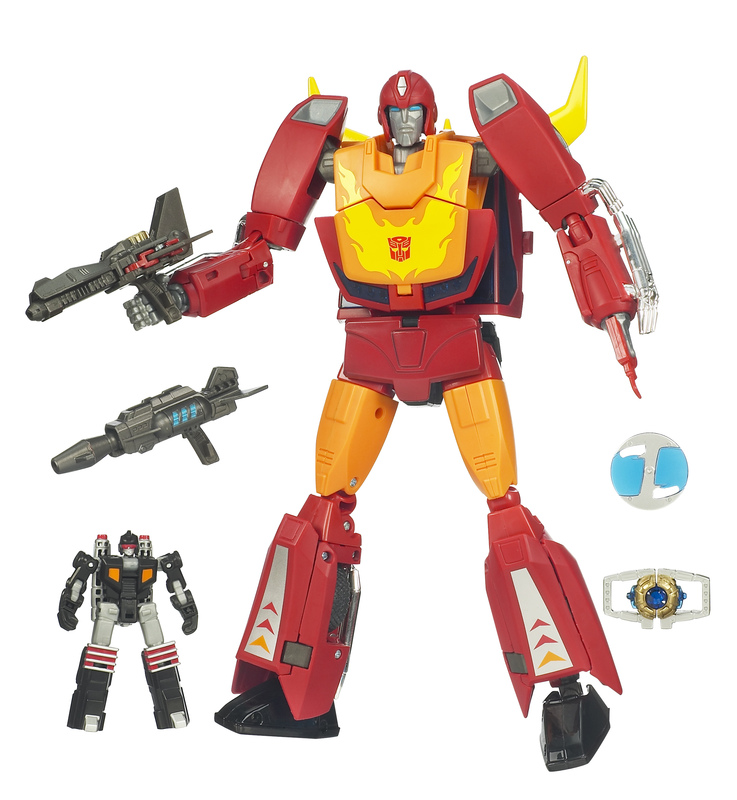 Rodimus – isn't supposed to be an exclusive to SDCC so I'll be looking to aquire one at regular retail. Lion O? Im In the same BBTS boat as mentioned above. Screw you Bandai America!! I'll be paying a huge scalp fee on Ebay no doubt thanks to your Licensing BS greed. The rest…….don't care. Until I actually see them in the flesh and then I'll change my mind but I am done with MOTUC so BA Faker is a big so what. I have to say I am covert impressed. I def need to buy faker, rodimus and lion o. I really hope toys r us has a good website server as I predict a lot of traffic that day. I really hope I can get that faker and lion o as rodimus will at least be in store like grimlock was. I hope Hot Rod comes with a left hand too… I'm sure he had one when they showed him at Botcon. If anyone wants just Faker and not Bizarro let me know as I'd be willing to take Bizarro off your hands. The Thudercats are being released at normal retail in the UK in December, you don't need BBTS.